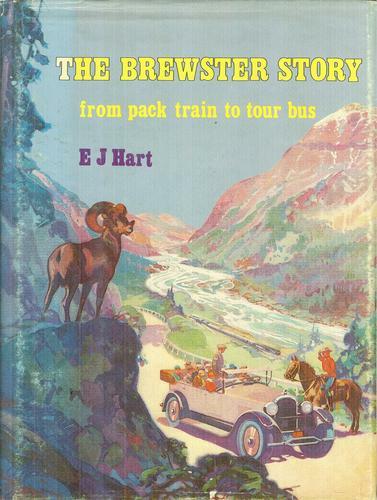 For over a century, Brewster Travel Canada has been introducing visitors to the wonders of the Canadian West. Presently Brewster Travel Canada is owned by The American Viad Corporation based in Phoenix, Arizona, USA. Viad (pronounced VEE-ahd) is an S&P SmallCap 600 company comprised of businesses that provide high-quality, place-based marketing services in North America, the United Kingdom, Europe and the United Arab Emirates, as well as travel and recreation services in the United States and Canada. Viad maintains an “Always Honest Compliance and Ethics Program” that is applicable to all companies within the Viad family. Honesty is the cornerstone of our company. The personal promise of each of our employees to be Always Honest in everything we do at Brewster is vital to our continued success. The commitment of all of our employees to a culture of honesty contributes significantly to our reputation for integrity and fair dealings with our employees, customers, shareholders and suppliers. Brewster aggressively promotes this culture of honesty and diligently acts to protect this valuable asset. In everything we do, and with everyone we deal with; customers, co-workers, suppliers and partners – we are Always Honest! The Always Honest program is applicable to every single Brewster employee, and every employee in the rest of the Viad family of companies. All of our employees agree to act in the highest ethical manner, to never violate a law and to recognize that it’s our duty to report any suspected unethical or illegal conduct within our company. Our management and employees are proud to uphold these strong moral values. Many people are often interested in how Canada and the USA have evolved in the field of passenger transportation. Here’s 3 books that I highly recommend that show how bus transportation developed out of taxi transportation both in Canada and in the USA. In conclusion I think there are many Canadian companies and even Canadian governments that could learn something from the leadership by example set by the Viad Corporation, of Phoenix, Arizona, USA, and its subsidiary companies including those operating in Canada.